Since the beginning of May in addition to the Western Prince we are also running our other boat, the zodiac-style Western Explorer. I hadn't been out on it yet this season and the weather was so nice today that I decided to go along for the ride. 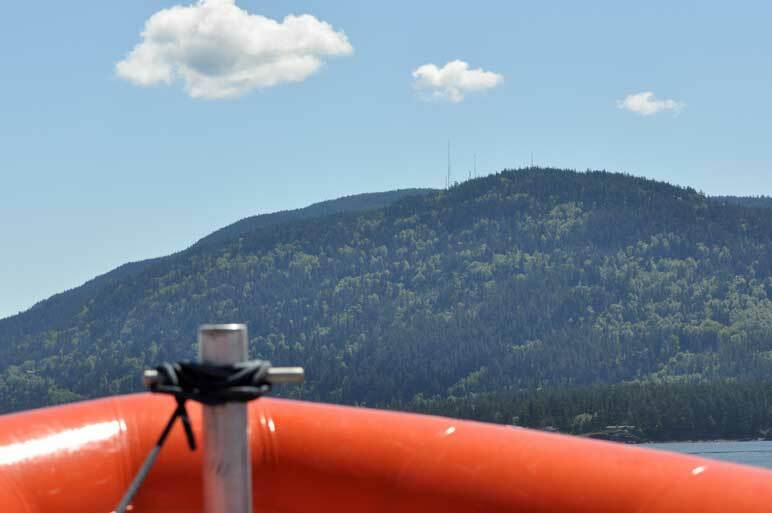 It was perfect weather for a cruise through both the San Juan and Canadian Gulf Islands. 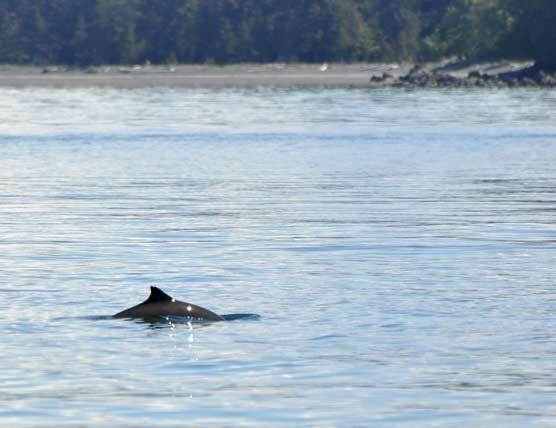 Our first stop was for a group of harbor porpoise. In small groups, they can be elusive, but when there's a decent number of them in the area if we shut the boat down we can often get nice looks, like we did today. At one point they were surfacing on all sides of us! 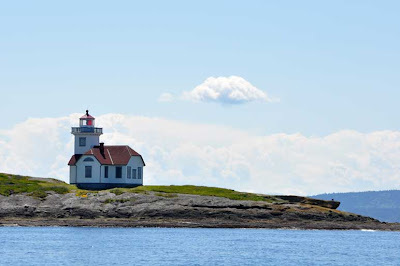 On our way up towards the Canadian Gulf Islands we slowed down near Patos Lighthouse. This is my favorite little lighthouse in the San Juans - so picturesque! 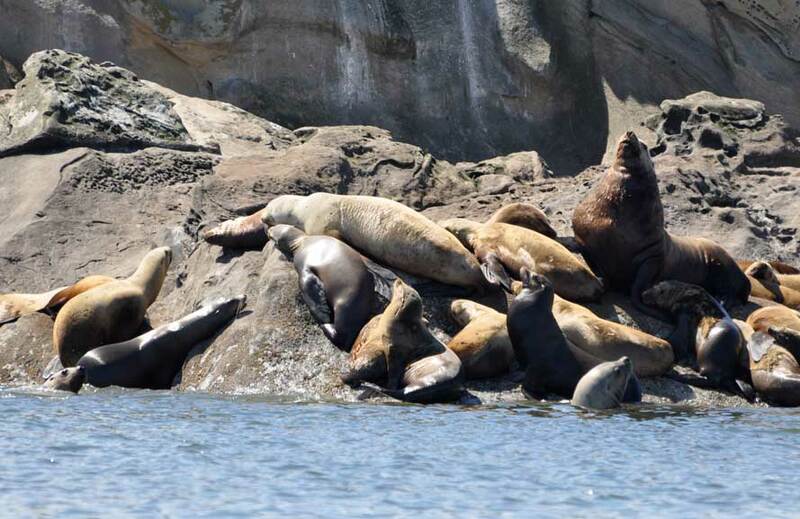 The Belle Chains are one of the most impressive sea lion haul outs in the area. Today we estimated that there were about 200 sea lions there. Interestingly, it was about an even mix of Steller and California sea lions. In the San Juan Islands, the Stellers are far more common, but on some of the British Columbia haul outs it seems there are a lot of Californias as well. All the sea lions were very active, which means it was noisy with lots of barking and growling. I wonder if they are gearing up for the breeding season which begins in about three or four weeks? During that time males will defend territories from one another in order to breed with females, so you can imagine that there is a lot of aggression going on. Looking at my pictures, I'm also fairly certain there were some females present as well, just judging by the fact that were some comparatively very small sea lions mixed in. 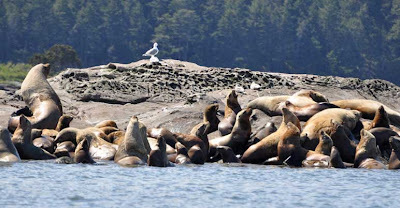 This is unexpected, since we usually just see male sea lions in the area. 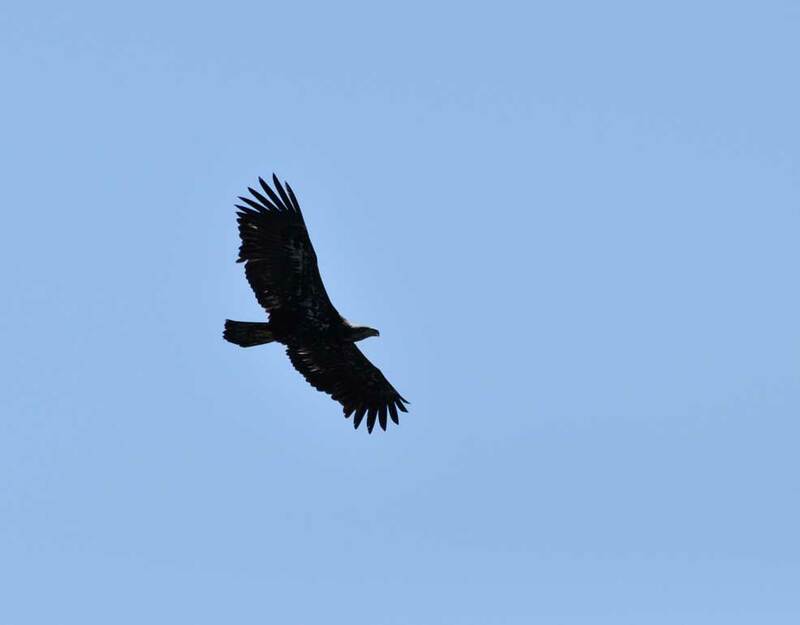 I wonder if they will establish another breeding rookery nearby? What a life! Just sitting back and cruisin' the islands on a sunny day. 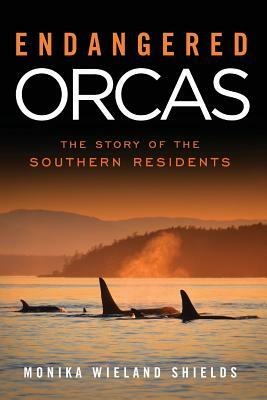 Whales on the westside - but who are they? A gray whale in the San Juan Islands!